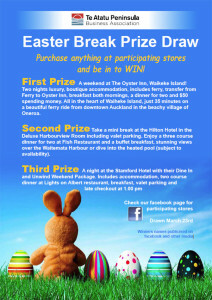 Purchase anything at participating stores and be in to win! 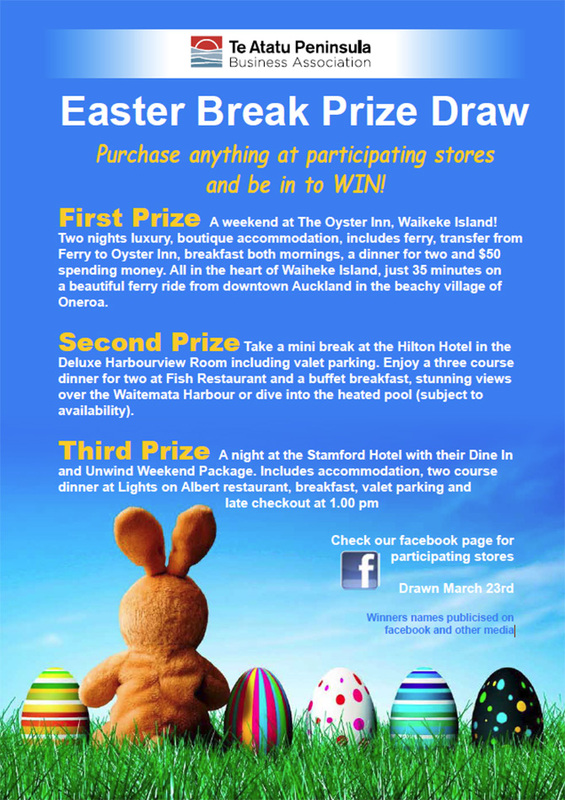 Look for this poster at participating stores to enter our Easter promotion and be in to win these fabulous ‘get away’ prizes! Spend anything at the following stores, fill in the entry form and cross your fingers. 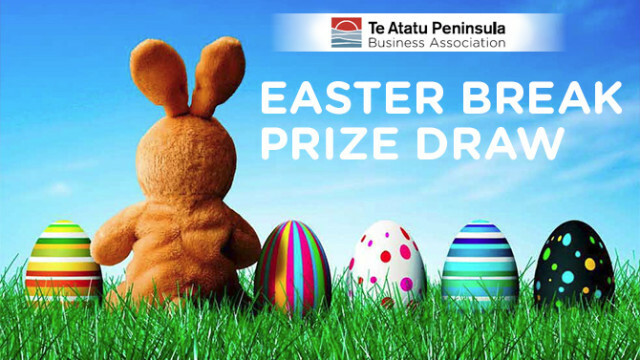 Winners will be announced before Easter weekend. A weekend at The Oyster Inn, Waiheke Island! Two nights luxury, boutique accommodation, includes ferry, transfer from Ferry to Oyster Inn, breakfast both mornings, a dinner for two and $50 spending money. All in the heart of Waiheke Island, just 35 minutes on a beautiful ferry ride from downtown Auckland in the beachy village of Oneroa. Take a mini break at the Hilton Hotel in the Deluxe Harbourview Room including valet parking. Enjoy a three course dinner for two at Fish Restaurant and a buffet breakfast, stunning views over the Waitemata Harbour or dive into the heated pool (subject to availability). A night at the Stamford Hotel with their Dine In and Unwind Weekend Package. Includes accommodation, two course dinner at Lights on Albert restaurant, breakfast, valet parking and late checkout at 1.00 pm. Check our facebook page for participating stores. Winners names publicised on facebook and other media.